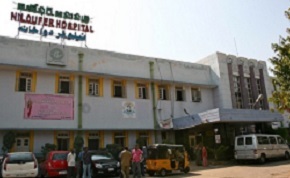 The health care facilities in the urban center of Hyderabad, Andhra Pradesh comprises of almost 50 government administered hospitals, with facilities as much as of 6000 beds for patients, and the city houses numerous private nursing homes, clinics, diagnostic centers and other health care centers. The health care context and environment in the city of Hyderabad are sophisticated and very affordable than many other cities across the country. According to recent study, the majority of the city population chooses private health sector and about 28% of the city population prefer government hospitals for various reasons. Government hospitals in Hyderabad have developed to be on par with the private health sector facilities, in considerations of technological expertise, patient care and solutions. Government hospitals in the city cater to the needs of middle-class and lower middle class people with all comfort and ease. The medical costs of private sector health care facilities are unapproachable the government health care facilities are a preferable outlet for treatment at affordable cost. 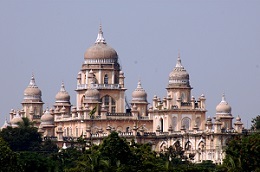 Osmania General Hospital is one among the oldest hospitals of India managed by the Government of Andhra Pradesh. 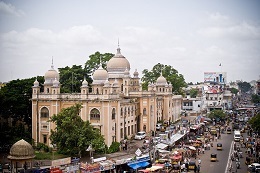 Osmania General Hospital is usually looked at as common man’s health care centre is a multi-specialty infirmary which extends several forward-looking medical departments under one roof to serve thousands of patients from all over the country. Cardiology facility, Dental care, Diabetologists, ENT section, Eye care, General physician services, Nephrologists, Neurologists, Orthopaedics, Skin care, Urologists and many other departments and services. 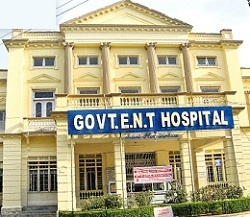 Government Nizamia General Hospital, widely referred as Government Unani Hospital is a hospital that particularizes in general medicine and Unani medicine. 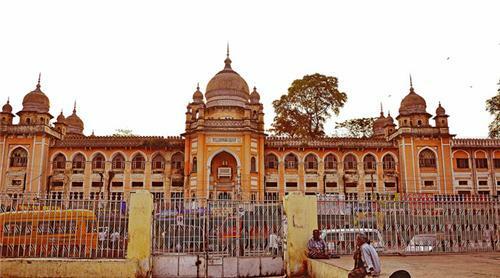 Located in the close proximity of the Charminar, the hospital was actually established during the year 1938 by Osman Ali Khan (last Nizam of Hyderabad). Niloufer Hospital, located in the heart of the city was founded in 1953. The hospital was meant to assist the wellness demands of mother and child with innovative pregnancy, paediatric, paediatric surgery endorsed by first-class diagnostic installations. Today, Niloufer Hospital is one among the most prominent hospitals of its kind in the continent of Asia with forward-looking facilities. The Institute of Mental Health is looked at as one of the oldest Mental Health facilities in the southern state of Andhra Pradesh administered by the Government of Andhra Pradesh. The premier institute assists the mental health patients from all over the country. One of the oldest ENT hospitals in the state of AP is managed by the Government of Andhra Pradesh serving the people with ENT (Ear, Nose and Throat) diseases across the country. There are enough government hospital in the city, but still people afraid to go there for treatment. Only helpless people go there. I think people should take action against the worker of government hospital. can you suggest me how can i reach ESI hospital in hyderabad? my father has recently diagnosed diabetes, can you suggest me the specialist doctor for diabetes in hyderabad? Most of the government and private hospitals have specialised doctors for diabetes. can you suggest me a best eye hospital in hyderabad city? Hi! Go through this page to know about famous eye hospitals in Hyderabad.